The growing Euroscepticism, the lack of solidarity among member states, and the large number of migrants dying while trying to cross the Mediterranean Sea show the urgent need for the EU to pursue a common asylum and refugee policy that is in line with its European values. This could create a new coherence between proclaimed European values and individual action, which would boost the self-esteem, reputation and authority of EU citizens. 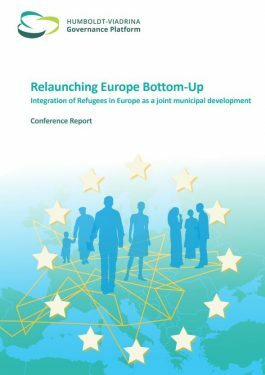 This innovative approach was introduced at the one-day conference “Relaunching Europe Bottom-Up” (June 7, 2017, read the conference report here.) 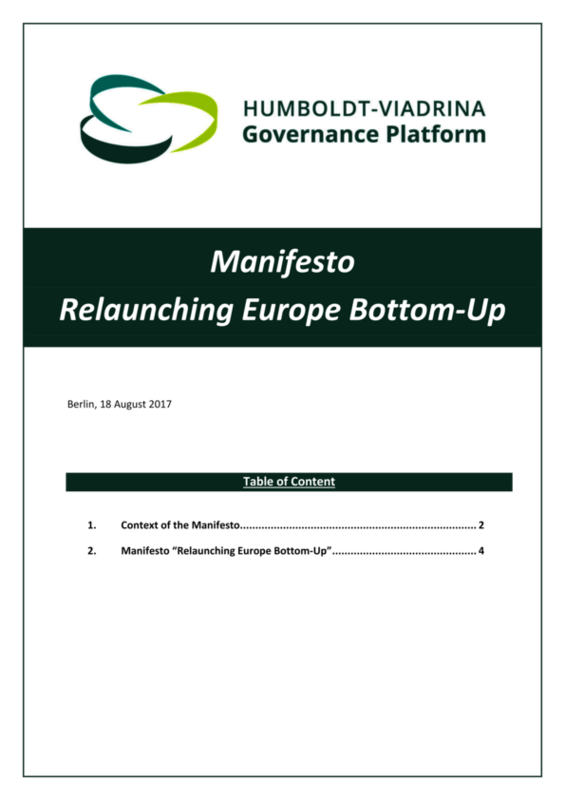 Based on the conference, a manifesto was defined with the participants (read the entire Manifesto here.) It calls for the European Union to create a publicly financed fund starting with the next EU Multiannual Financial Framework in 2021. 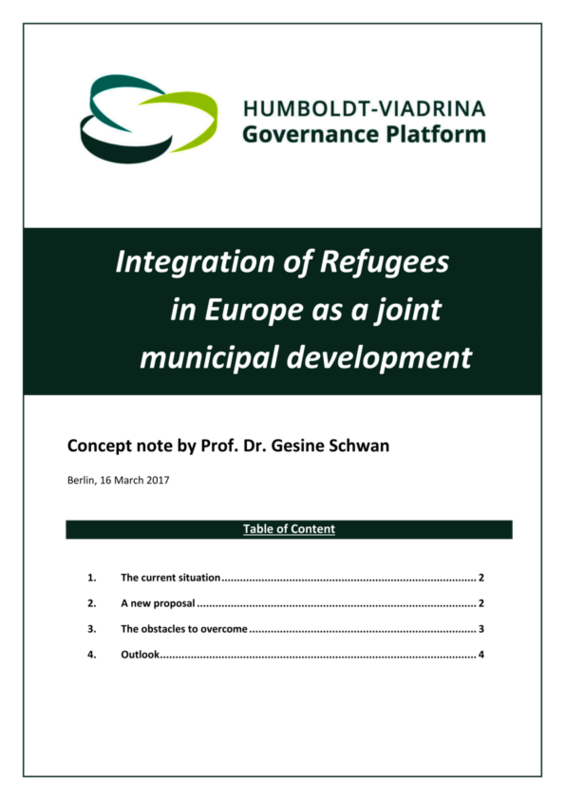 Municipalities should be able to apply to this fund and receive direct and holistic financing for refugee integration and – additionally to be more inclusive – funds for the communities’ general social integration and economic development. To generate as much support as possible from the broad community, the application should be prepared by a multi-stakeholder-group of representatives of the community, organized civil society (including refugee representatives, social partners and religious groups), and business. 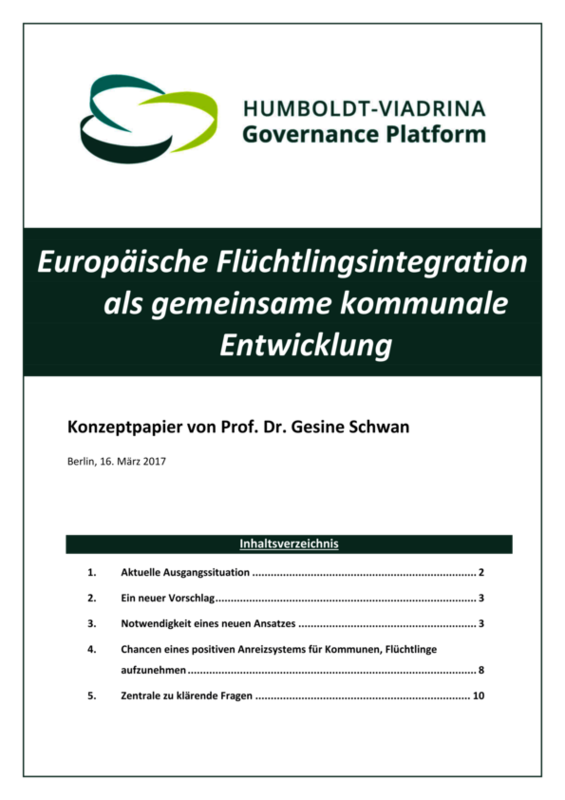 Economic pluralism: A German “Sonderweg”? How to motivate business to counter corruption?